Greetings. I'm Jessica Menton, walking you through today's premarket action. Stock futures are mildly lower as investors weighed the Fed's signal of no more interest-rate increases this year and a lower forecast for U.S. growth. Meanwhile, Dow component Nike is set to post earnings after the bell. Plus, some investors are holding on to Puerto Rico bonds. 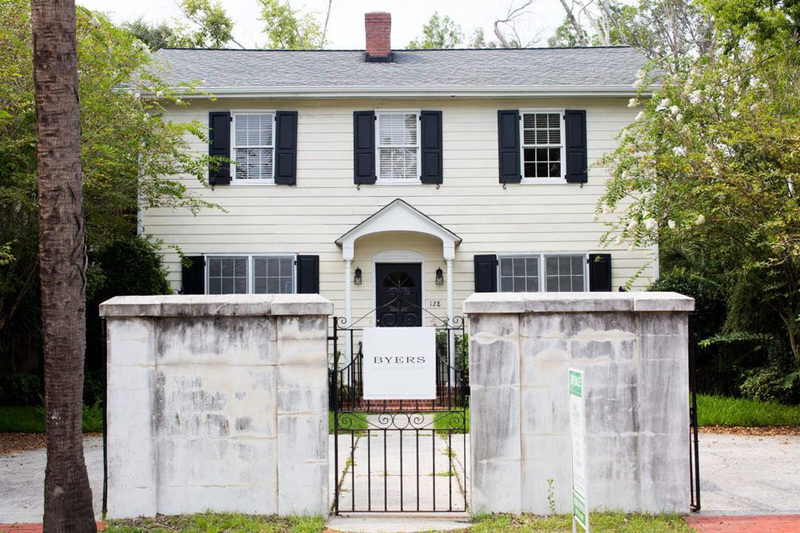 Markets reporter Gunjan Banerji and bankruptcy reporter Andrew Scurria weigh in on what could help further expand the buyer base. Global stocks were mixed as markets continued to parse the Fed's latest rate decision and waited for more news on U.S.-China trade negotiations. 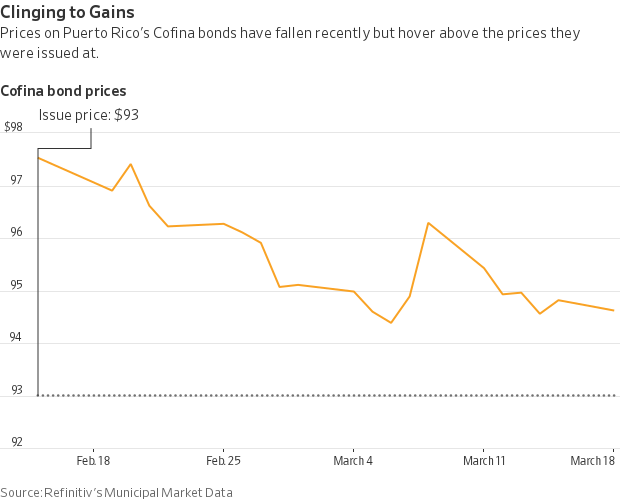 Investors are hanging on to bonds issued as part of Puerto Rico’s massive restructuring effort, a sign of confidence in the fiscally troubled island’s prospects. Prices have edged higher for $12 billion in new debt backed by sales taxes that Puerto Rico issued several weeks ago. The bonds, known by their Spanish acronym as Cofinas, were issued to investors including hedge funds as part of the U.S. territory’s financial restructuring, marking the first settlement in ongoing negotiations to fix its broken finances. Although the bonds’ prices have pared some of their earlier gains, one slice of newly-issued sales tax bonds recently traded with an average price of about $94.62, up from $93.00 last month, according to Refinitiv's Municipal Market Data. The climb defied expectations that investors would immediately dump the debt, dragging down prices. Some analysts attributed the gain to increased faith that the financial restructuring would help Puerto Rico rebound from years of economic stagnation, helping convince mutual funds, ordinary investors and other traditional municipal bondholders that fled the island’s debt years ago to buy the bonds from hedge funds. In one boost to Puerto Rico’s new bonds, they recently re-entered the Bloomberg Barclays Municipal Bond High Yield Index, where they now make up 12% of the gauge, according to a Bloomberg spokeswoman. The reappearance could propel further gains, analysts said, since some fund managers will need to buy the bonds to continue tracking the benchmark. Demand for municipal debt has been robust. The market got off to the hottest start in more than a decade in 2019. In recent months, investors have welcomed higher-yielding borrowers like the formerly-bankrupt Detroit as well as riskier sectors in the muni market with higher default rates. And higher-yielding municipal debt has climbed since the beginning of the year after a strong 2018. It has returned 2.2%, counting price changes and interest changes, outpacing other munis and Treasurys, Bloomberg Barclays data via FactSet show. Cofinas maturing in more than 30 years recently traded with a 5.3% yield, according to Refinitiv’s Municipal Market Data, more than two percentage points above longer-dated debt rated triple-A, and higher than the 4.85% yield recently offered on the Bloomberg Barclays Municipal Bond High Yield Index. Resolving issues around the sales-tax bonds was key to Puerto Rico’s restructuring because it needed access to some of the money pledged to them to repay other public debts. The Cofina settlement marked a cautionary example for some municipal investors, showing how even complex security structures may not be as safe as many believed. The yield on the benchmark 10-year U.S. Treasury note settled at 2.537% Wednesday, down from 2.614% Tuesday, after the Federal Reserve signaled it was unlikely to raise interest rates at all in 2019. That marked its lowest close since January 2018. The KBW Nasdaq Bank Index of large commercial lenders and the SPDR S&P Regional Banking exchange-traded fund on Wednesday dropped 3% and 3.4%, respectively, each posting their biggest one-day percentage loss since Dec. 4. On this day in 1924, the Massachusetts Investors Trust, the first open-end mutual fund—a type of fund that doesn't have restrictions on the amount of shares the fund can issue—was founded in Boston by Edward G. Leffler, a former aluminum cookware salesman, and investment bankers Hatherly Foster, Jr. and Charles H. Learoyd. The minimum initial purchase of five shares cost $262.50, or $2.50 less than the price of a new Ford Model T runabout. The Bank of England releases a policy statement at 8:00 a.m. ET. U.S. jobless claims are expected to fall to 225,000 from 229,000. The figures are scheduled for 8:30 a.m. The Philadelphia Fed's manufacturing survey for March is expected to rise to 5.0 from -4.1 a month earlier. It is also slated for 8:30 a.m. The Conference Board's leading economic index for February, due at 10 a.m., is expected to rise 0.1%. Natural-gas inventories will be out at 10:30 a.m. Stockpiles are expected to have fallen 48 billion cubic feet last week, more than average for this time of year, according to the average target of 10 analysts and traders surveyed by the Journal. President Trump joins CEOs from America's biggest companies at the Business Roundtable's quarterly meeting at 11 a.m.
Levi Strauss will go public today for the second time. The stock will begin trading on the New York Stock Exchange under the ticker LEVI. The denim company is selling shares at $17 apiece, it said Wednesday, for a valuation of roughly $6.6 billion. The Fed left interest rates unchanged. Officials indicated Wednesday they are unlikely to raise borrowing costs this year and may be nearly finished with the series of increases they began more than three years ago now that U.S. economic growth is slowing. Trump signaled tariffs on Chinese goods will stay. With the U.S. and China preparing for a fresh round of face-to-face negotiations, the president said the U.S. expected to keep tariffs on Chinese goods in place for a “substantial period of time,” even after a deal. The U.K. requested a three-month Brexit extension. Ahead of a summit with European Union members this week, the U.K. has asked to delay its departure from the bloc until June 30. But EU leaders are only likely to grant such a short extension if British Prime Minister Theresa May can win backing next week from the U.K. Parliament for her Brexit deal. U.S. oil prices hit a four-month high Wednesday. Crude was boosted by government data showing an unexpected decline in U.S. supplies. The oil market overall is being supported by production cuts from OPEC and its allies. Micron Technology: The chip maker delivered stronger-than-expected quarterly earnings. Guess: The retailer's fourth-quarter profit missed analysts' estimates. Williams-Sonoma: The home-goods retailer raised its dividend by nearly 12% to 48 cents a share and increased its share-buyback program.